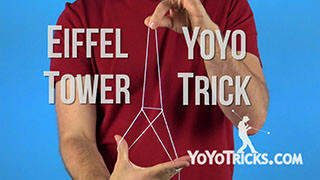 Learn Paul Kerbel’s yoyo trick, the Grid Iron. 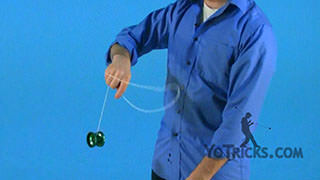 Grid Iron Yoyo TrickIn this video I am going to teach you how to do the Grid Iron, and this is how it looks. 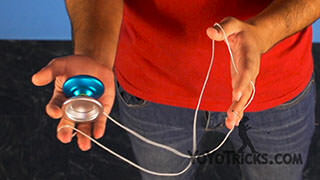 Okay, so first step, we need to learn the Grid Iron is throwing a Trapeze and making the string going over your hand like this and grabbing it like a whip, then we are going to whip our opposite thumb and at the same time we need the yoyo to be tossed in the air and land on these two strings behind the upper string, like this. To make this in one step, we need to toss the yoyo into the air at the same time we whip our thumb in order to set the mount just before the yoyo gets into the string. 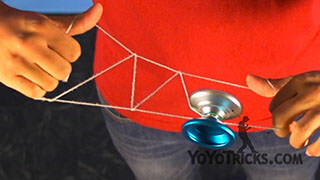 After you hit this crazy slack, the next thing we need to do is keep the tension always on these two strings, the upper and the lower and pop the yoyo off the string, you want to keep the tension because if you let it go, you will lose the picture of the Grid Iron, so you always want to keep the tension and then after popping the yoyo to the back, you will make the yoyo go around the upper string and land on the lower string. At this point you want your hands to be on the same position as my hands are with the palms facing you and the thumbs facing up so its easier to flip the trick. 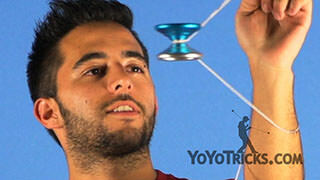 We want to make sure the yoyo is on the same plane as the trick is, so you do not lose any spin time or anything. 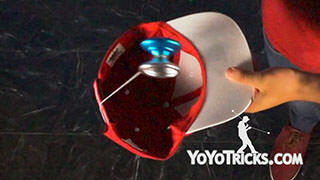 Now we can flip, you have to make sure you can keep the tension, so you do not lose the shape of the trick. So after flipping the trick, you will need to pop the yoyo towards you or to the inside and land on the lower string and then un-flip it, so you will get to see this twist right here that won’t allow the yoyo to move so you can actually go like this. 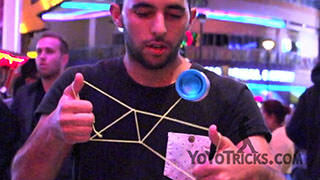 You want to undo this twist, what we are going to do is pop the yoyo to the front and land on the lower string and then pop the yoyo to the back or to the inside and land on the upper string so now you can slide it and make the trick look cool. 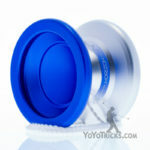 So to make it slide smoothly you can imagine that you have a steering wheel on your hands and you are turning right and left, right and left, and when you get to the Eiffel Tower point you will un-flip the trick, or flip the trick and you will drop your yoyo hand, everything but the thumb, and on your opposite hand everything but the index finger, then you will do a pass around with your opposite thumb. 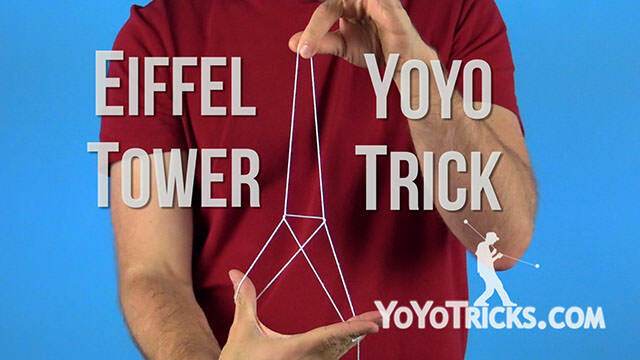 Like so and you will pop your yoyo from the back to the string that is attached to your middle finger on your yoyo hand, then you will drop your yoyo thumb like this and you will get this tower. To unmount this you will pop the yoyo to the front and do a bind from here dropping the thumb at the same time and this is the Grid Iron. If the original Grid Iron is not hard enough for you, you can try this. 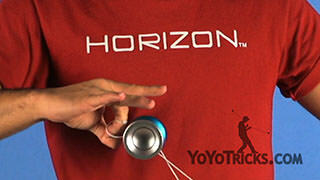 You can add Schway, then grind, then the mount, continue with the trick, and spin, add Kobe and a cool bind.